This may be THE WORST part about this whole endeavour. Not only can I not cook, but I’m the epitome of lazy…in the best way possible. Today I made cereal for breakfast (what an accomplishment!) and went on to use some hard-boiled eggs to make egg salad on a bagel. Although somewhat healthy, I decided that I was still hungry, and decided to make further mistakes. Frustrated beyond belief, I decided I would try to make some pasta with chicken. But I’m deathly afraid I won’t cook chicken long enough. So, I opted for a grilled cheese sandwich with tomato soup. Laughable. Looking through my pantry, I found tomato paste and V8 juice…and poured the together on the stove. I proceeded to take bread out and slices of American cheese. As I cooked, I felt a sense of pride…only to be swept off my high horse during my first taste. I HATE tomatoes..and more to the point, it’s summer. 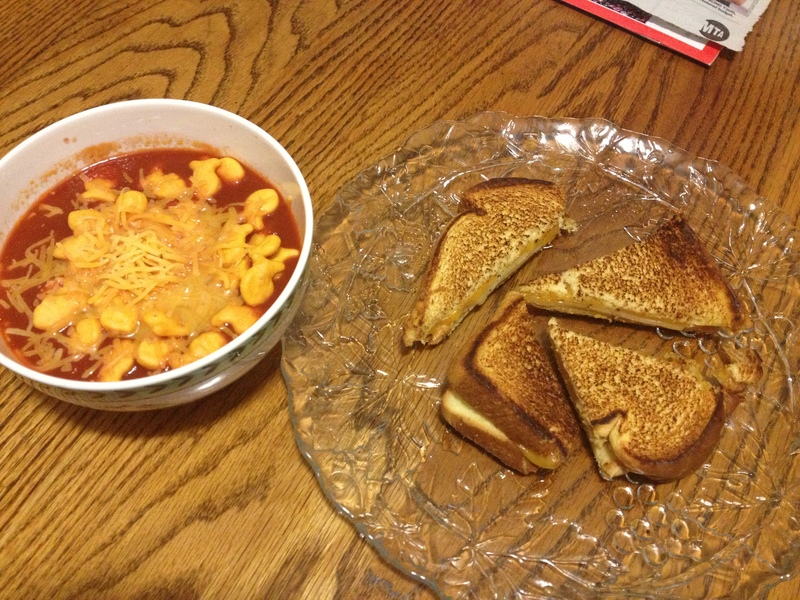 Why would I eat tomato soup and grilled cheese on a 87 degree day?! At least I tried right? I think my boyfriend would find all of this rather comical, since he’s in culinary school. My advice on this subject: If you live with a parent/spouse/boyfriend or girlfriend that cooks…watch them. Learn from them, I know what I’ll be doing.